The story of this organ – two-manual, ten-rank Wurlitzer Style H, Opus 1224 begins in 1925, when it was shipped from the Wurlitzer factory in North Tonawanda, New York, to the Carlton Theatre on Flatbush Avenue, in Brooklyn. There, it accompanied the silent motion pictures of the day, entertaining tens of thousands over no less than a ten year period. We believe the organ played until around 1936, when problems with improperly greased blower motor bearings rendered the machine inoperable. The organ was removed from the Carlton by Roy Davis in the early 1970’s, and subsequently sold to David Watkins of Edgewater, Florida. Dave’s plans to install the organ at his home never materialized, but he kept it safe for over four decades until it was acquired by the Dairyland Theatre Organ Society (DTOS) in the fall of 2015. DTOS is installing the organ in the Geneva Theater in Lake Geneva, Wis.
Today, Wurlitzer Opus 1224 is one of very few theatre pipe organs that remains a totally un-altered example of the builder’s work, and DTOS intends to keep it that way by meticulously restoring it to pristine playing condition. While it is obviously no longer located in its original home, the Geneva Theater provides an excellent acoustical as well as “sociable” environment for many to enjoy the warm, lush sounds of this magnificent instrument. Every practical effort has been and will be made to preserve every aspect of Wurlitzer’s work. This includes retaining the original electro-pneumatically operated relay and switch stack, and the original combination action mechanism in the console. 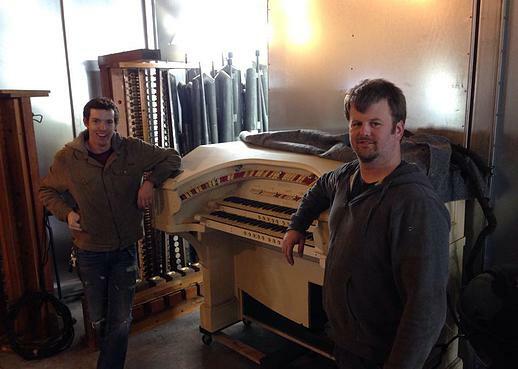 The restoration of Wurlitzer Opus 1224 is well on its way, but we need your help to make sure this project is completed to the highest standards. Your generous contributions to this project will ensure that a wonderful long-lived, long-dormant theatre pipe organ – a pristine example of American musical and entertainment history – will thrill audiences of all ages once again, and long into the future! Please join us on this adventure to keep the music playing! DTOS is a 501(c)(3) non-profit organization. All donations, no matter how large or small are tax deductible to the extent of applicable law. DTOS is a 501(c)(3) non-profit organization. All donations, no matter how large or small are tax deductible to the extent of applicable law. 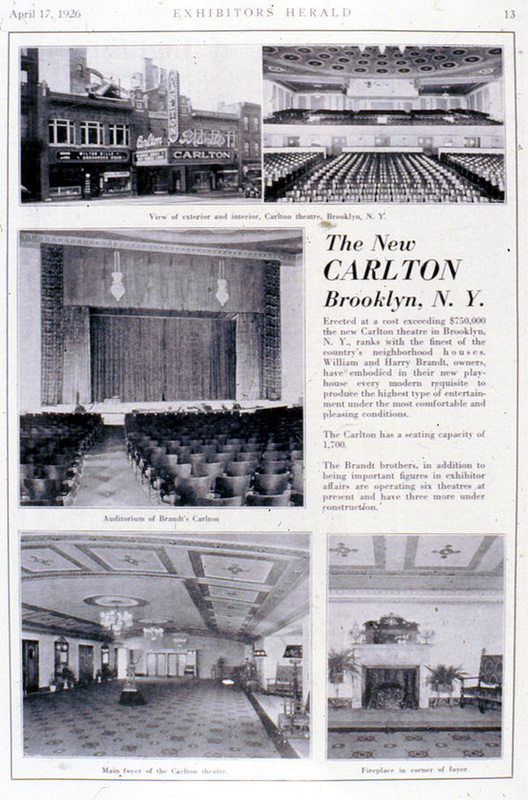 Above: an early advertisement touting the opening of the new Carlton Theatre. The console of Opus 1224 is visible to the left side of the orchestra pit.